Availability: Ships promptly! Buy just what you need. These large 13x18" bags are heavy weight yet they are archival and uncoated. They make a wonderful enclosure for newspapers (folded position) and large projects such as scrapbook materials and children's artwork projects. They are heavy enough to hold books and notebooks. Other ideas for use: collecting your Time Capsule items; Book Storage; Classroom storage; Artwork holding and storage; Tool storage; Holding bags for any project that you need proper storage or organization and you cannot do that immediately; seasonal clothing storage. 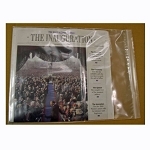 Even though the bag is designed to store most modern newspaper issues without folding them (flat), it will fit many other items. It's a popular starting point for gathering time capsule items - just place similar items or items from each group into its own bag. At home, it's handy when you need to store linens and small blankets and sweaters - just store like items together and extract as much air as possible. 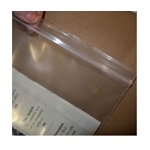 Any collector, museum, library, or archives will find hundreds of ways to use these heavy duty 4 mil Clear Polyethylene Zipper Bags. This 13x18" Poly Zip Seal Newspaper Pouch 4 mil Clear Envelope is water resistant, thick, and completely inert. Fits items that measure up to 12.5" x 17.5"
Save more the more you buy!